Cambridge IGCSE has three levels of Chinese language courses: first language (0509), second language (0523) and foreign language (0547). The first language (0509) is the most difficult. 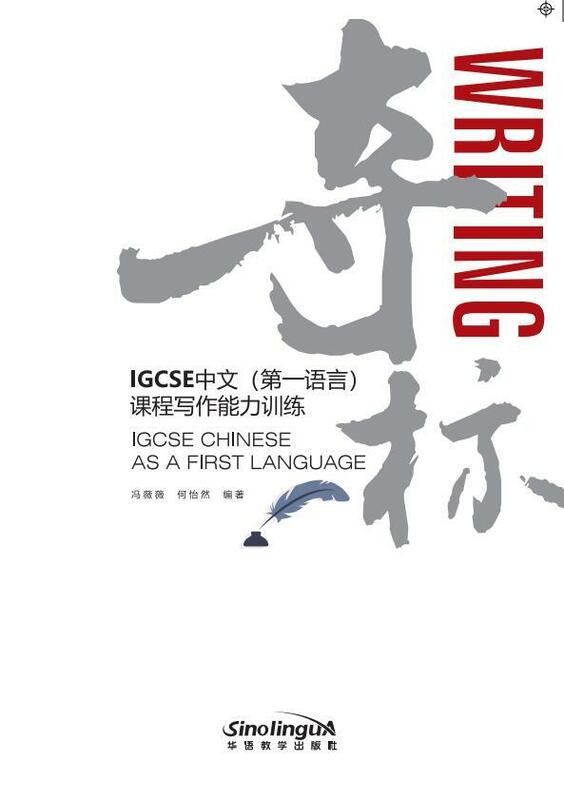 The curriculum of IGCSE Chinese First Language (0509) includes reading comprehension and writing ability. Reading comprehension is divided into two parts: answering questions and general writing parts. Writing ability is also divided into two parts: argumentative papers and narrative descriptions. .
From the curriculum settings we can see that IGCSE Chinese first language (0509) values students' writing ability. In addition to answering questions, the other three are directly related to “writing ability”. For international school students or Chinese students living overseas, writing is often their weakest point. This book is to help these students to write Chinese articles that meet the curriculum requirements in a non-native language environment. This book analyzes the writing texts that meet the requirements of the course, and makes ideas and maps, so that students can have a clearer understanding of the general writing, argumentative papers, narratives, description structure and writing techniques, so as to find a quick improvement in Chinese writing. The selling price is RM 39 with a total of 100 pages.